This week on ‘The Writing Life of:‘ I am thrilled to be interviewing author Rachel Burton. 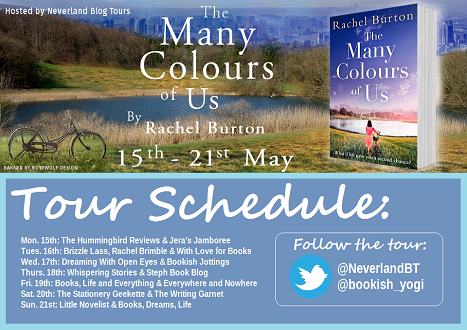 Rachel will be sharing with us detail of her writing life, telling us all about her latest book ‘The Many Colours of Us’, which was released on 26th April 2017, and answering a few fun questions too. So without further ado I’ll hand you over to Rachel. Rachel Burton has been making up stories since she first learned to talk, prodigiously early. In 2013 she finally started making one up that was worth writing down. She has a BA in Classics and an MA in English and has never really known what to do when she grew up. She has worked as a waitress, a legal secretary, a yoga teacher and a paralegal. She never quite made it to law school. She grew up in Cambridge and London but now lives in Leeds with her boyfriend and three cats. The main loves of her life are The Beatles and very tall romantic heroes. A writer (although I had no idea of what!) or an archaeologist. Writing won out in the end because I don’t like being outdoors that much. I adored the Mary Poppins books by P L Travers – I can still remember exactly where they were on the library shelves and I read the whole series three times. I also liked the Narnia books by C S Lewis and Bedknobs and Broomsticks by Mary Norton. I always knew – I used to write stories when I was about five or six. I stole my first pen and notebook from my mum’s desk! In a lot of different ways really. I wrote a lot of short stories and poems – some of which were published, most of which weren’t. I did an MA in English and wrote my thesis on the rise of the tabloid press during the Jack the Ripper murders in the late 19th century. I did an internship at a local paper. I wrote local history pieces for publications in north London. I’m also a yoga teacher and have written for yoga publications and I used to have a yoga blog. I wrote my first novel about ten years ago. I sent it out to agents and Jonny Geller at Curtis Brown wrote back and said that he didn’t want the story but I could write well. I still have that letter and it kept me going! Then at the end of 2013 I finally started writing what was to become The Many Colours of Us. Well I work full time so most days I try to get an hour in after work – I aim for 1000 words a day 4 days a week and a further 3000 over the weekend, but I’m not always successful! I do write under a pseudonym. Rachel is my real first name but Burton is a family name. I have a tendency to write the entire story in my head before I even think about putting words down. I tend to write in a mixture of longhand and on the computer for my first draft. I don’t really write in order or sequence, just whichever sections take my fancy. I already know what order they will go in from writing it in my head! After I’ve written the first draft I do the structural edit on my laptop. I then do the final edits by printing out my MS and getting my red pen out. It’s old fashioned maybe but it works for me! 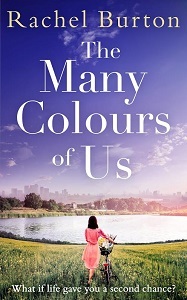 The Many Colours of Us is my first book – although I have an unpublished book that I wrote about ten years ago as well. A pantser. Without a doubt. And probably too old to change. At the point of writing I haven’t had any reviews yet! I’m intending to get my boyfriend to read them first! Julia Simmonds had never been bothered about not knowing who her father was. Having temperamental supermodel, Philadelphia Simmonds, as a mother was more than enough. Until she discovers she’s the secret love-child of the late, great artist Bruce Baldwin, and her life changes forever. As Julia begins to dig deeper into the mysterious past of her parents, opening up a history she’d never have imagined, but as she discovers the truth she needs to decide if she is willing to forgive and forget? 3 years and 5 months – although for over 2 years it was sitting on my laptop unloved. My heroine is called Julia because that’s my favourite Beatles’ song – I can’t remember where Edwin Jones came from. I use baby name books, gravestones and people I’ve met over the years for name inspiration. Julia is smart, clever, funny, tall (she hates being so tall) and gorgeous (she has no idea how gorgeous she is). But she’s lost – she hasn’t ever worked out her place in the world and as the novel opens she’s trying too hard to fit her round-peg self into a square hole. She’s very unhappy, even though she doesn’t admit it and she’s ready for some big changes. The things that make her tick are running and making her own clothes and the constant encouragement she gets from her best friend Pen. Edwin is pompous and awkward and a workaholic and his life has been marred by tragedy and family responsibility. But on the rare occasions he lets himself relax he’s kind and generous and compassionate…. And very very handsome. Oh and tall enough that Julia can wear heels and still be shorter than him. The things that make him tick are Victorian novels, the complexities of the legal system and his brother’s chocolate brownies. He always drinks beer out of the bottle. My publishers came up with it. My original title was Letters to Julia – which, while factually correct, isn’t very exciting! My boyfriend read it through before it went to publishers and a couple of writer friends had read the first three chapters. 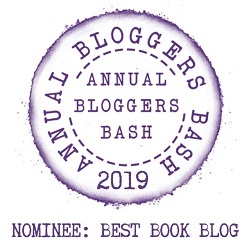 I sent the first three chapters and a synopsis out to a number of agents and a couple of publishers who take direct submissions at the end of last October. Several of them asked for full manuscripts and then then the rejections started to trickle in. Then in late November HQ offered me a deal subject to some edits (one subplot came out, another was beefed up). I was on a train between Bristol and Bridgwater, on my way to a writing retreat when I got the call – the train guard had locked his keys in the guard van and I was helping him break in at the time (NB if you are ever in this position a pair of eyebrow tweezers works a treat)! Then just after Christmas, the Darley Anderson Agency emailed me to say they’d just found my first three chapters and synopsis in their inbox and wanted to see a full manuscript. I explained that I’d signed with HQ for it but Darley Anderson offered to represent me for future books off the back of my first. HQ have since offered me a further two books! It all happened very fast and has been rather overwhelming. I hadn’t really prepared for this bit! But I know I’m incredibly lucky and I’m beyond grateful for the opportunity. Cried with relief! There was a point when I didn’t think I’d ever get there. I’m currently writing my second novel, which is set on a yoga retreat in rural Suffolk. I believe it’s going to be out in early 2018. The Sun Always Shines on TV by Aha. A house in Campden Hill Road – where Julia’s house is in The Many Colours of Us. It’s actually based on a real house that my parents’ friends used to own and it’s my absolute favourite part of London. You can find out more about Rachel by visiting the website/social media sites below. I would like to say a big thank you to Rachel for sharing with us details of her writing life, and for a wonderful interview.